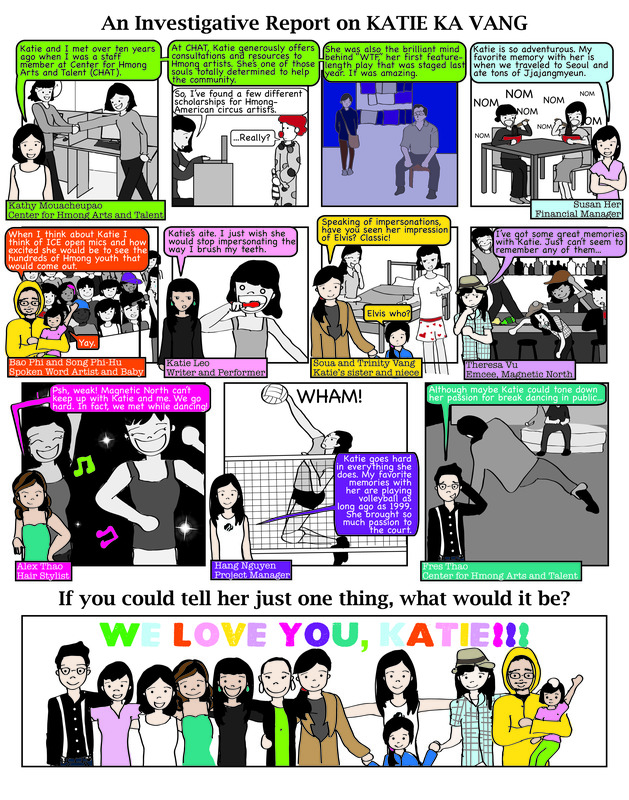 My friend T commissioned me to make a comic for her friend Katie, who was battling Stage 4 Lymphoma. I had never met Katie, who lived thousands of miles away from me at the time. I secretly stalked her on Facebook and contacted all her closest friends, who poured out dozens of stories and photographs for me to base this on. By some miracle and a funny twist of fate, Katie is now cancer-free and was shortly accepted to the same university that I attend. We met a few months after she received this comic in the mail from a total stranger. Obviously, we’re great friends now.